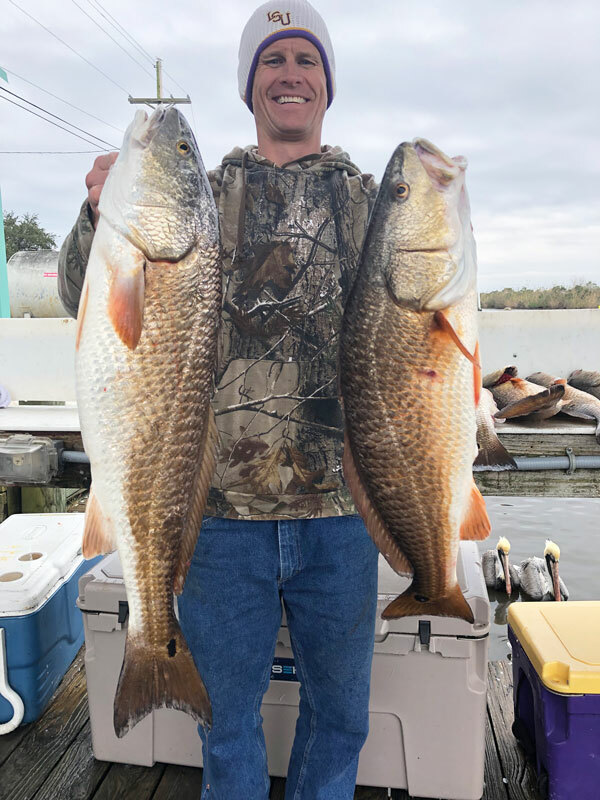 Johnny Schmidt, an avid fisherman and certified diver from Covington, scored big with redfish on Saturday, Feb. 2, in a bay south of Oak River in the Delacroix marsh. 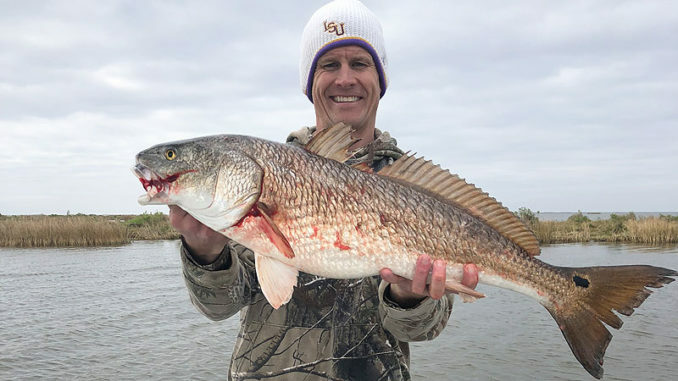 Schmidt said he and his friend, Mandy Montreuil, grabbed the boat and headed to Delacroix for a fishing trip, but the weather was foggy and cold. They stopped at Sweetwater Marina while waiting for the fog to lift and ran into Capt. Casey Brunning of Hurricane Bay Charters. Casting your line along the bank as the wind blows the water against the bank is a technique used to fish wind-blown points. Schmidt and Montreuil rode down to Ponton Bay in 50-degree weather with the wind whipping. They cast their lines using 4-Horsemen corks so that the bait stayed on the bottom. Within the hour, fish starting tugging at his line. 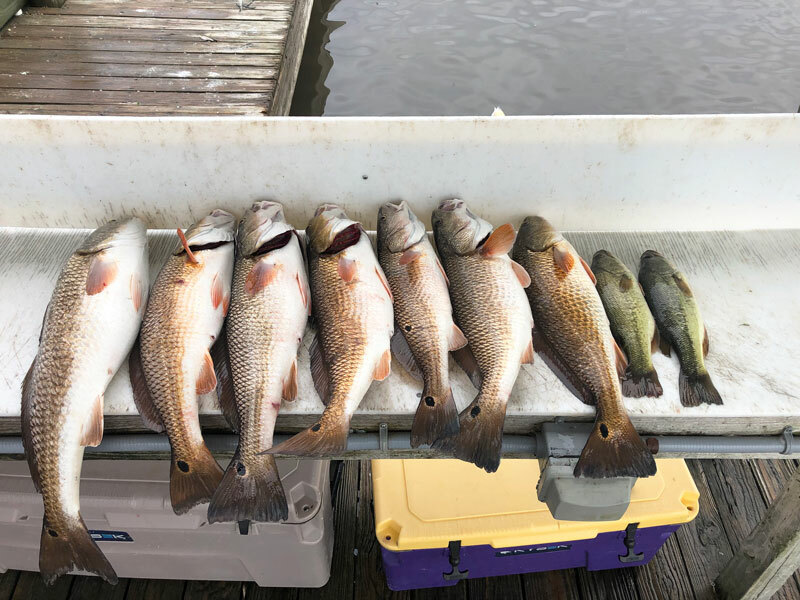 In a 4-hour fishing trip, he said he caught one bull red, seven slot reds, 36 rat reds and two bass. 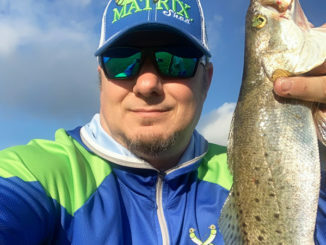 “I changed from a regular hook to a jig head and I had a blast on a cold and windy day. 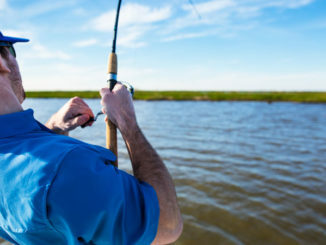 There is nothing better than catching fish all day,” Schmidt said. He said he will back this weekend to fish the same spot.